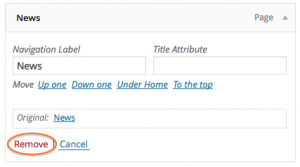 We have created a News Section and menu tab for you. If you decide that you do not want to use this feature, it’s easy to remove the link from your top menu. 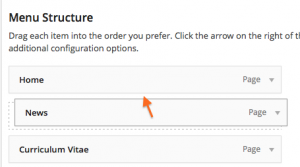 Select Menus from the Appearance toolbar in the Admin area. 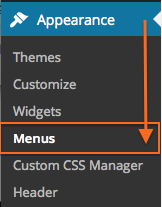 Click the triangle next the News menu item to expand the menu item. You should see a confirmation at the top of the screen that the Main Menu has been updated. Your News section will no longer appear on your website. 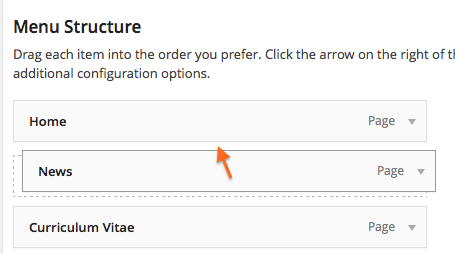 Select Menus from the Appearance toolbar in the lower left of the Admin area. 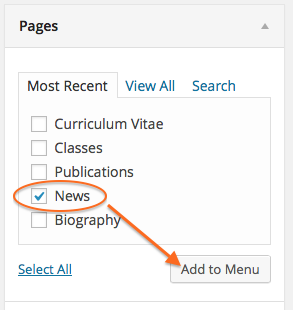 Select the News page in the Pages section of Menus. Drag the News menu item to the desired location.